Most of the rumors are true: Boulder is full of Tesla-driving, kombucha-drinking know-it-alls who only take breaks from snowboarding to drink craft beer and smoke. But it’s also a beautiful college town boasting 300 miles of hiking trails, a thriving culinary scene, fantastic local music, and year-round sunshine you’d be wise to soak up on your next visit. 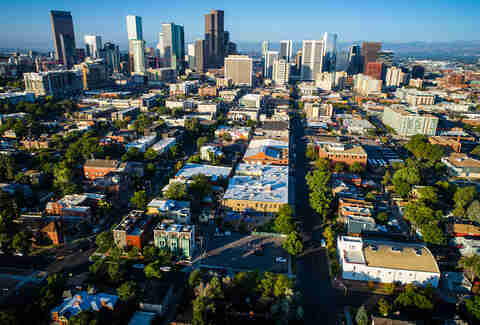 Even with a population of 100,000 and close proximity to the fast-growing metropolis of Denver, Boulder still manages to retain its small-town vibes. Here’s everything you need to know before your trip -- when to go, what to eat, and where to stay. “It must be so cold!” is a common refrain from people who’ve never been here. Because Boulder is 5,000-plus feet above sea level and because the sun shines so frequently, it’s a beautiful place year-round. When the sun sets, it gets significantly colder, but it’s 100% not as bad as you’re thinking. As for the summers? That’s the absolute best time to visit if you don’t care about skiing. Humidity is non-existent in these parts, so as long as you stay hydrated, you’ll be able to enjoy the outdoors with minimal downside. Armed with the knowledge that Boulder is indeed not the Arctic Circle, you’ll probably (read: definitely) want to do some stuff outside. While there are hiking trails all over town, Chautauqua Park is your can’t-miss. 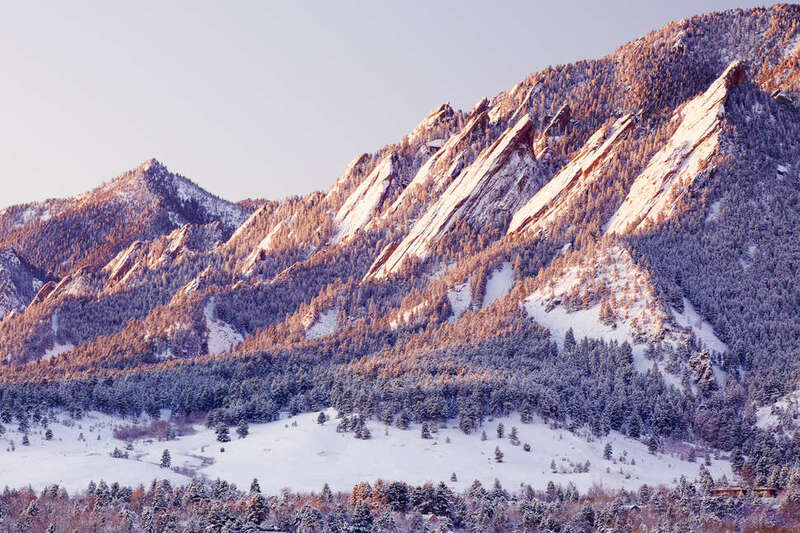 It’s located at the base of the Flatirons (aka the rock formations that look more like a Bob Ross painting than real life) and offers a dizzying array of hikes for all skill levels. You can even make a day out of it in the summer by hiking in the AM and then hitting the park’s concert series at night, which always brings in solid national acts. If you want to take things easy, consider the 2.1-mile Flatiron Scenic Loop. For starters, there are plenty of places to stop and Instagram the bucolic scenery, and since it’s only a little over 2 miles you can be back in a place with Wi-Fi within an hour. Now, if getting completely off the grid is what you’re into, the Mount Sanitas Trailhead is perfect. It’s 3 miles long, a bit challenging, but offers amazing views of Boulder and the Flatirons. You can also modify the length of the hike depending on your route (and be sure to get a trail map before heading out). You’ll definitely want to bring your camera or make sure your phone’s charged: Mountain lions, coyotes, foxes, mule deer, and raptors are busy in the area. Leaving Boulder to go hiking somewhere else is a little like leaving Willy Wonka’s Chocolate Factory to find snozzberries, and yet it’s worth every last second of the 40-ish minute drive to Red Rocks. In addition to serving as a world-class concert venue, there are hiking and biking options in Red Rocks Park, and many people exercise in the actual amphitheatre, including a regular Yoga on the Rocks event in the summertime. Pack your Lululemons. OK sure, you might see one or two drum circles walking around Boulder. But for such a tiny town, there are three major concert venues, including the historic Boulder Theater for national touring acts (and comedians!) and the Fox Theatre, located practically across the street from the University of Colorado campus in The Hill neighborhood. You’ll find more up-and-coming acts at the Fox, and if you visit in August, look out for free concerts to coincide with an annual radio industry conference. For a live look at the nationally syndicated show eTown, head to eTown Hall and nod your head along to a taping from its gleaming multi-use facility. In recent years, summer also means the return of Phish concerts 40 minutes away in Commerce City, and The Dead often plays a weekend of shows at Folsom Field, where the CU Buffs football team plays. And -- again, this should be obvious -- definitely don’t skip a trip to Red Rocks for a summer show. There’s a reason acts like U2 and Dave Matthews Band have recorded live albums there; the gorgeously lit rock formations, the stars, and the incredible sound quality combine for a once-in-a-lifetime experience. 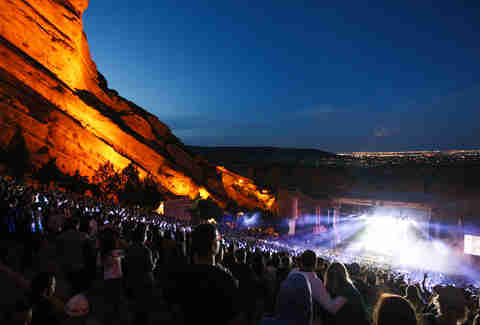 While concerts were once only held at Red Rocks in the spring/summer, nowadays shows are regularly popping up year-round, including the annual Winter on the Rocks. 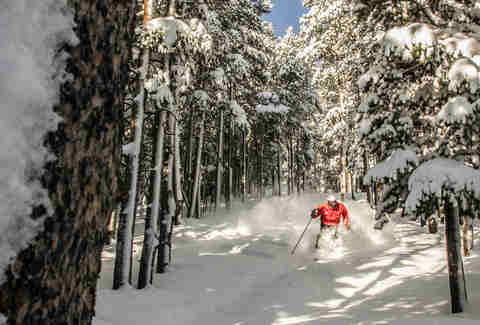 If you love fresh pow and shredding gnar, Eldora is a fantastic mountain to ski and ride. It’s a long-time favorite of locals -- in part because it's a fast half-hour drive from Downtown Boulder. If you’re visiting anytime from November to April, consider a visit in the middle of the week, when you’ll likely have plenty of room to operate on its 680 acres of skiable terrain and eight terrain parks. Want more options? Here are six other ski areas within a two-hour drive from the Denver airport. It says something that the trade group representing craft breweries, the Brewers Association, has its home base here. Coors, of course, got its start in the state, and has an enormous manufacturing facility a half-hour away in Golden -- the free tour is super popular! But if you don’t want to leave Boulder’s confines for a local beer, you certainly won’t be lacking for options. In fact, Boulder has the second most microbreweries per capita in the country. Pay homage to the craft beer brands that started locally and achieved an international reach like Avery and Oskar Blues (which began as a brewpub in nearby Lyons). Both have expanded well beyond their humble beginnings, none more so than Avery, which shed its original cramped digs in an industrial park and built an awe-inspiring brewery/restaurant in north Boulder. You’ll be able to taste taproom rarities you won’t find anywhere else, as well as find plenty of its boozy, barrel-aged selections that are produced in limited quantities. Don’t skip the food, either. Avery’s menu is loaded with both vegetarian and carnivorous entrees as well as excellent brewhouse shareables like pretzels, fries, poutine, cheeses, and wings. Oskar Blues’ newly opened taproom on Pearl Street is worth swinging by if you’re in the area, but there’s something homey and charming about their Longmont taproom location. Sure, that charm might be enhanced by a 12.8% barrel-aged Ten Fidy with chocolate, hazelnut, and praline, but you’ll feel it all the same. If you have any non-drinkers in your party, hook 'em up with a pint of OB’s own Hotbox Roasters nitro coffee on tap. And while you’re in Longmont, don’t miss the chance to swing by one -- or both -- of the brewery’s restaurants, which serves up items like delicious Angus burgers at Chuburger and solid tacos (like chicken, chorizo, and sweet potato with green chile) at Cyclhops. Colorado’s new school breweries are also well represented in Boulder and the surrounding towns. A half-hour outside Boulder is Lafayette’s Odd13 Brewing, a must-hit for hazy IPA lovers. Upslope Brewing’s two taprooms around town are pouring beers that have been quietly racking up Great American Beer Fest awards since 2009. Seasonal suds are Upslope’s strong suit, from Thai Style White IPAs in the summer to masterful Pumpkin Ales in the fall. And don’t forget to give the little guys some love, like VisionQuest Brewery, with a host of inventive wild ales and sours sure to please even the most critical beer snobs. The beauty of Boulder’s homegrown Mountain Sun pubs is that the brewery never packages its beers, and it’s a been a local favorite since it first opened on Pearl Street in '93. One of its locations in South Boulder, appropriately named Southern Sun, serves brewpub staples like nachos and burgers in a setting that recalls the dorm room of a guy who’s super into the Dead. It’s infinitely charming and extremely Boulder, and brews like the Colorado Kind IPA and the Old School Irish Stout are long-standing crowd pleasers. Tucked into a shopping mall, a former executive chef of one of Boulder’s beloved restaurants is slinging sourdough pizzas and steak sandwiches inside the tiny “gastro brewery” Bru. And because some people have all the talent, he also brews naturally carbonated ales intended to pair perfectly with your food. Order a Citrum IPA, pair it with something savory off the menu, and thank us later. After dinner, walk next door to the organic ice cream shop Heifer and the Hen for unconventional flavors (Note: He and his wife operate that place too). When I first visited Boulder a decade ago, eating here meant hearty pub food with a beer, a meal at a vegetarian spot like Leaf, or a vino-filled evening at Frasca Food and Wine. Since then, the culinary scene has grown leaps and bounds. Top Chef winner Hosea Rosenberg operates three stunners: Blackbelly Market, which cooks up mouthwatering burgers and other hearty, sustainable fare, the Blackbelly butcher shop/deli next door (perfect for lunchtime sandwiches), and his newest, an ode to New Mexican cuisine at Santo. Keep digging and you’ll find The Kitchen, which has taken its farm-fresh, healthy cuisine national, but still remains a local staple. Everything that hits the oven at Oak at Fourteenth will impress (the menu is small but strong), and its cocktails are among the finest statewide. The team behind Oak also recently opened up Corrida, offering sweeping, rooftop views of the Flatirons, and Basque country-inspired steak and tapas. For the fast-casual diners on a budget, Boulder has plenty to offer. Half Fast Subs and Organic Sandwich Company make masterpieces out of bread and meats, Zoe Ma Ma’s chicken soup noodle (nope, not chicken noodle soup) is life-affirming, and the Dark Horse Bar’s burgers have a strong, local cult following. It’s also the place to go if you enjoy a drink in a dimly lit place -- even when the sun is still shining. Boulder is filled with locally roasted coffee, kombucha, tea, and cold-pressed juice to get you through the day. One option is Rayback Collective, a hidden gem in the back of an industrial park where you can enjoy coffee from local Ampersand Roasters, five taps of kombucha from the town’s Rowdy Mermaid, and enough space to spread out and hang. Stick around and a rotating suite of food trucks show up to serve lunch and dinner, beer flows from 30+ taps, and there are plenty of picnic tables to post up at. If you were unaware, breakfast-only joints are kind of a thing here, with loads of pancakes at Snooze or crepes at Foolish Craig’s on Pearl Street, Creole-inspired plates inside a charming converted home at Lucile’s, and Montreal-style bagels and avocado toast at Woodgrain. 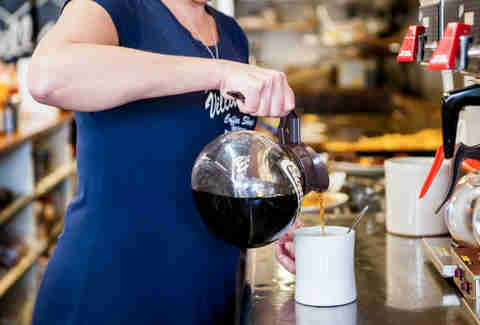 For omelettes and pancakes inside a diner with no shortage of old-school charm, there’s nothing like Village Coffee Shop. For an unrivaled cup of jitter juice, hit Pearl Street. 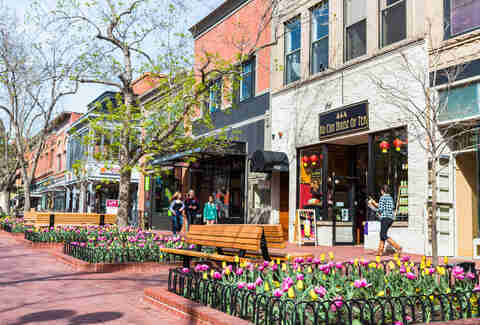 It’s Boulder’s centerpiece, a gorgeous walking mall full of restaurants, bars, and shopping... and plenty of options for a cup of Joe. You can’t go wrong pulling up a table at Ozo on Pearl Street (ask for a shot of liquid cacao called Cholaca in your cup if you need a jumpstart) or mingling with the mix of tech bros and students inside Boxcar Roasters. For a more traditional coffeehouse vibe, wedge yourself between CU students that pack the multitude of tables in the laid back The Laughing Goat, which roasts Denver’s fantastic Kaladi beans, or inside the Trident Booksellers and Cafe, an establishment that, yes, also sells books. For those who prefer to extract energy from fruits and vegetables, we’ve got you. Wonder is your one-stop shop for organic, cold-pressed juices and nut milks as well as some damn good smoothies. It’s also decorated in such a way that if you walk out without Instagramming it, you should be handed an award. Order the Banana Chip with coconut milk, coconut water, banana, and cacao nibs to hydrate you (you read about our beer here, right?). Pearl Street has plenty of stores to scratch that consumerist itch. Pick up a book to give to your smart friends at the Boulder Book Store, swing by technical gear heaven at Fjällräven or Montbell, browse sustainable bags for men and women at Sherpani, and get Colorado-branded gear at Charlie’s T-Shirts. 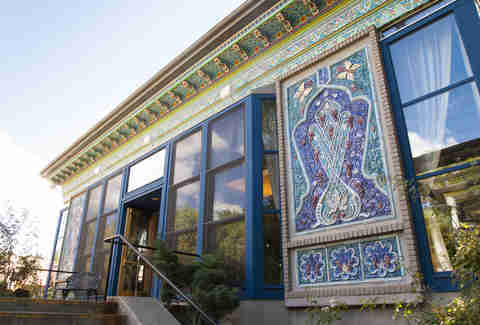 For hippie-dippy, wonderfully Boulder experiences, there’s the herbal apothecary Rebecca’s and The Lighthouse Bookstore. There are also plenty of edible gifts for yourself or others (no, not that type of edible gift) steps away from Pearl Street at the lively and delicious Boulder County Farmers Market on Saturdays from April through November, and Wednesdays from May through October. After all the eating, drinking, and dancing, you’re probably going to need to power down for a couple hours while you recharge your phone. Despite Boulder’s deserved rep for being a bit pricey, there are lodging options for any budget. Stylish budget rooms at the Basecamp Hotel are perfect if you’re traveling with friends, especially “The Great Indoors” room -- it features beds that look like sleeping bags and walls covered in Flatirons-themed wallpaper. Unfortunately, Boulder only has one hostel room, but the scarcity hasn’t stopped A-Lodge from providing solid accomodations for the budget conscious. If you were planning on seeing a show or going for a hike at Chautauqua Park, we’ve got some good news! You can stay in on-site cottages inside the park, conveniently located at the base of the Flatirons. For mid-range options, two glimmering new Hilton hotels have opened up in town: Embassy Suites by Hilton and the Hilton Garden Inn. Hats off to the Brickstones Kitchen & Bar in the Embassy Suites for its “build your own trail mix” station, and the views of the Flatirons from the rooms are worth checking out as well. The historic Hotel Boulderado retains its Victorian charm from when it opened in the early 1900s in its suites, lobby, and moody License No. 1 speakeasy. And Downtown is home to the four-star hotel St. Julien, where you’ll find rooms and suites with jaw-dropping mountain views. Sure, some people might be into luxurious amenities like access to the pool and hot tub, but after everything you just read about… how much time do you really think you’ll spend in your room? In Boulder for a while? Here are 14 things to do while you’re hangin’ around town. 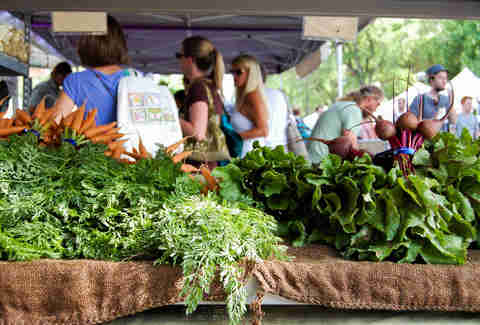 On Saturdays from 8am-2pm through mid-November and Wednesdays from 4-8pm through early October, the Boulder County Farmers Market brings produce from local farmers and plenty more to town for this weekly tradition. Come hungry and sample some of the prepared foods along the way, and be ready to discover unique fruits, veggies, flowers, herbs, and meats. The Planetarium might seem a little old school, but trust us, it’s still as awesome as ever. The variety of options, with everything from a laser light show set to a Sublime soundtrack to the more educational but equally entertaining "We Are Stars" narrated by Andy Serkis, gives this stop a universal (pun intended) appeal. Tucked between Cosmos (your go-to for a late-night slice) and Dot’s Diner on the Hill, you’ll find a man sitting outside an unmarked door. What’s he doing? Waiting to check your ID. You’ve found the no name bar, which is what it’s known as thanks to the fact that it literally does not have a name. This cozy (read: small) spot has speakeasy vibes with streaks of dive bar throughout. Plus, you can find live music on the schedule most nights of the week. On this trail, your destination is 28 area breweries, distilleries, and wineries. Hitting all 28 in one day is not recommended, and you should rent a bike and take advantage of the city’s public transportation to make this journey a little easier on your feet. But no matter how many you check off the list, you’re guaranteed to get a taste of some unique options along the way with stops at places like Wild Woods Brewery, which incorporates ingredients from the wilderness into their brews, or Redstone Meadery where you can sample the oldest-known boozy refreshment. Culture comes cheap at this destination where admission is just $1. The space is small, making it a great pit stop during a day filled with other activities. 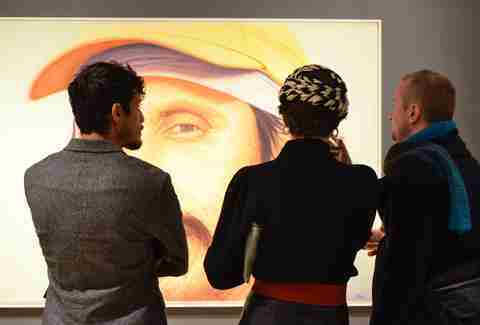 Exhibitions and events change regularly at the BMoCA, so you’ll want to check their website to see what’s happening while you’re there. You could find art by regional craftsmen, international talent, or even a performance. Or experience an alien abduction, or recover the work of a scientist who made a mysterious discovery in the realm of space travel -- whatever sparks your adventurous spirit. Boulder’s got two destinations for those with a penchant for problem-solving: Boulder Escape Room and Enigma Escape Room. Each offers their own unique spin on the escape room craze and both are extremely fun. If you’re going to spring for one indulgent meal, it should be at Frasca Food and Wine. 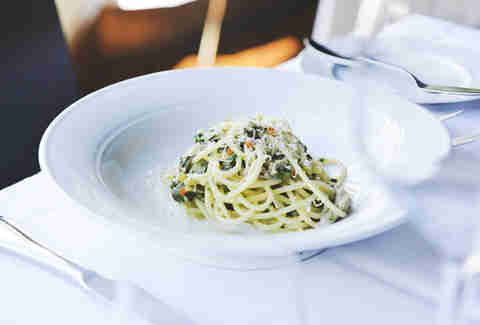 They've been dishing out award-winning Italian here for 13 years and offer two prix fixe menu options, or you can order a la carte from an ever-evolving selection of dishes made with locally sourced ingredients, including handmade pasta, a selection of salumi, and mains that range from duck and rib-eye to wild boar and striped bass. The Boulder Creek Path runs for 5 1/2 miles through town, from Boulder Canyon to the west and Stazio Ballfields to the east. Pop on wherever and enjoy the sounds of the water gently flowing as you take a soothing stroll. Even though the path cuts through town, you’ll still feel like you’re getting a proper slice of nature and some quality time getting to know the city, all while unwinding after a day full of adventures. You never know exactly what you’ll find when you wander this historic outdoor mall. There are stumble-upon musicians playing everything from banjos to harps, a fire juggler, contortionist, and even the famous ZIP Code Guy who can hear a zip code, tell you where in the US it is, and then recommend a good restaurant there. There are also plenty of restaurants, breweries and bars, boutiques, bookstores, and art galleries to explore along the way. If natural beauty and beer aren’t enough to get you out exploring in Boulder, the 850-plus farms in Boulder County should be. Many farms encourage visitors and offer you-pick-it produce, farm stands, picnic areas, and even occasional farm dinners. So relax while dining alfresco on the barn balcony at Lone Hawk Farms, or have a goat meet & greet at Mountain Flower Goat Dairy while learning more about their humane and sustainable practices. With 1.6 billion cups of tea served every year, you’ve no doubt tasted it (probably Sleepytime or Lemon Zinger). In Boulder, you can see firsthand where and how this popular tea is made with a 45-minute free tour of their manufacturing facility. Outings are available daily during select hours and will take you through the blending, packaging, and shipping process. One highlight is the peppermint room, where the pungent aroma is sure to wake you up and give you a totally unique sensory experience. The tour ends in the Tea Shop where you’ll often find certain tea varieties on sale for as low as $1 per box. Most of the ornate building was shipped piece by piece from Tajikistan (and the country’s capital, Dushanbe, is actually Boulder’s sister city) and assembled here. If you want to experience a legit tea time, reservations are required 24 hours ahead of time. That will net you all the makings of an elegant afternoon from 3-5pm: white linens, a tower of pastries and other small bites, and even cucumber sandwiches. Whether you want to get out on the water on a sailboat, kayak, or stand-up paddleboard (all are available to rent), or you just want to lounge at the swim beach (open through Labor Day), this is the spot to do it. The water temperature here is typically in the 70s during the hot summer days -- though it can fluctuate quite a bit, so check their website for current temps. This makes the reservoir a much more pleasant option than the normally frigid lakes and rivers. And it’s only $7 to get in. First and foremost, this is a stellar bike shop for all your cycling-related needs. But what makes it a destination is the fact that it doubles as a relaxing spot to hit up happy hour. The Tune Up is the in-house bar and coffee shop where you can choose from a selection of craft brews, wine, and espresso while snacking on empanadas and cruffins (croissant-muffins, duh). Adorable puppies and a steady stream of Planet Earth playing on the TVs sets the mood for happy hour, which runs from 4-6pm daily and includes $2 off all drinks, so go ahead and stay for that second beer. Lee Breslouer is a writer and editor based in Colorado. Follow him @LeeBreslouer for photos worth a thousand words that nonetheless all have captions with a thousand additional words.